Fifteen years after helping lead the program's resurrection during the early days of the Lorenzo Romar era, former player and current assistant coach Will Conroy is an integral part of the Huskies’ turnaround during Mike Hopkins’ second season as Romar’s successor. The old point guard bounces toward midcourt and crouches in a defensive stance, his arms stretched wide, his mouth opened wider. Will Conroy gets closer to the “opposing” point guard and taps him on the chest with both of his hands. Washington freshman Jamal Bey, basketball in hand, starts to dribble, makes his designated moves around Conroy and finishes with a pull-up jumper in the lane. “Beautiful!” Conroy says, punctuating his approval with several emphatic hand claps. This, it turns out, is a pretty typical afternoon inside Hec Edmundson Pavilion. Conroy, a Washington assistant coach, is constant motion as he runs guards through individual drills from noon to 4 p.m. most days. During one 45-minute session with Bey and fellow point guard Quade Green, Conroy lays out cones, demonstrates designed plays, plays defense, grabs rebounds and offers the occasional critique. Sweat falling from the tip of his beard, he does not hold back, does not take a possession off. Which leads one to wonder: Has Will Conroy ever taken a possession off inside this building? And more: Has anyone built up as much sweat equity for the Washington men’s basketball program as Will Conroy? The point guard and captain of the last great era of Husky hoops, Conroy is now a 36-year-old Huskies assistant coach. He has two kids, a broken big toe (battered in a recent pickup game) and an addiction to the Golden State Warriors (he never misses a chance to watch old pal and former Sonic Kevin Durant). 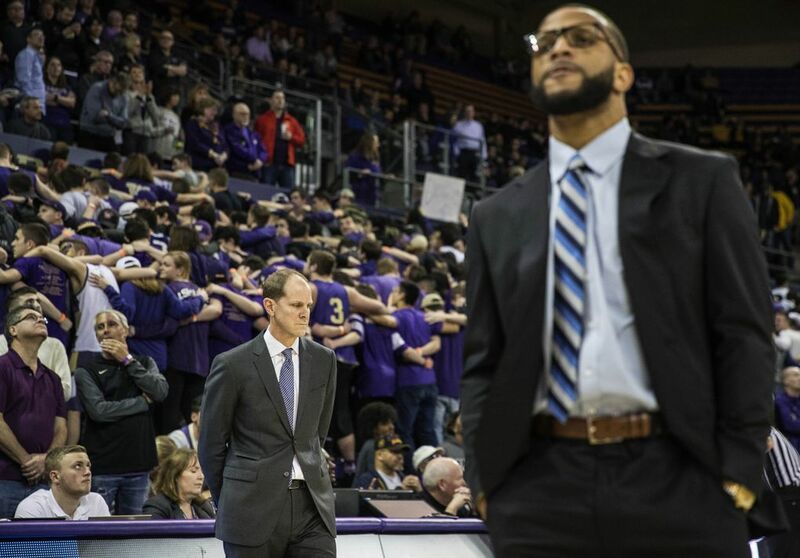 And, now, 15 years after helping lead the program’s resurrection during the early days of the Lorenzo Romar era, Conroy is an integral part of the Huskies’ turnaround during Mike Hopkins’ second season as Romar’s successor. When Hopkins left Syracuse to take the UW job two years ago, he had not met Conroy. Soon, Hopkins was hearing all about Conroy from NBA veterans Carmelo Anthony and Chris Paul. Hopkins coached Anthony at Syracuse and Paul with USA Basketball. 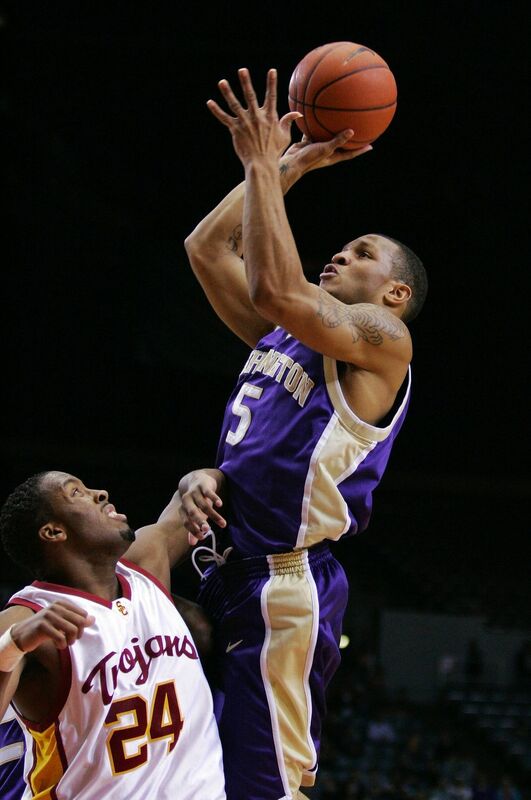 Anthony and Paul knew Conroy through NBA player Jamal Crawford, a Seattle native and one of Conroy’s close friends. Anthony and Paul to Crawford: Make sure Seattle takes care of our guy Hop. They need him up there. Crawford to Anthony and Paul: Make sure Hop takes care of my guy Conroy. He needs him up there. It was a stamp of approval Hopkins and Conroy each needed to hear, and two years in the marriage has worked out beautifully. Hopkins arrived in Seattle in the spring of 2017 and was immediately struck by the intensity and energy he saw from Conroy during 6 a.m. team workouts. The new head coach figured his new assistant had “more fight” than anyone in the gym. Conroy, in turn, discovered many of the same qualities in Hopkins. Conroy might be the only person on campus who can match his boss’ energy. Hopkins is famous for his push-ups — he’ll drop and do them just about anywhere. 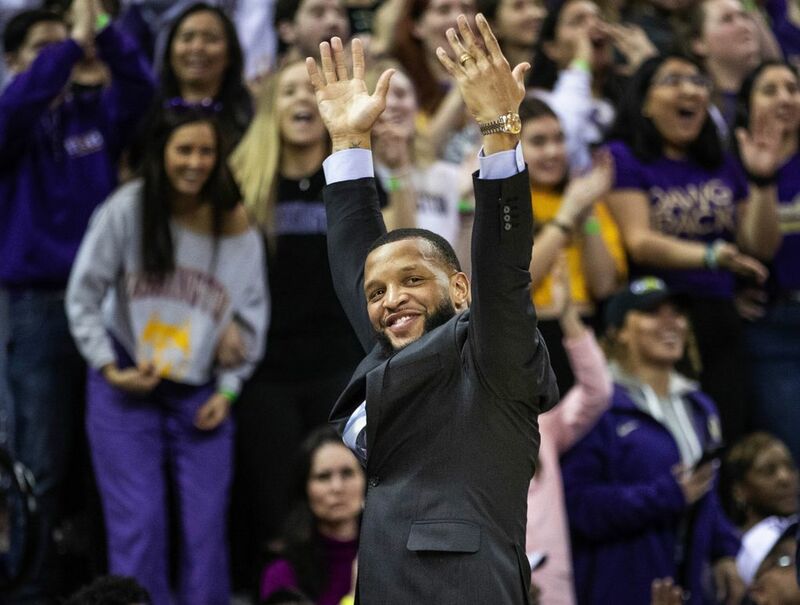 Hopkins made an appearance at a booster event a couple hours before a UW home game last month, and a minute into his remarks he jumped off stage and into the gathered crowd, slapping high-fives. 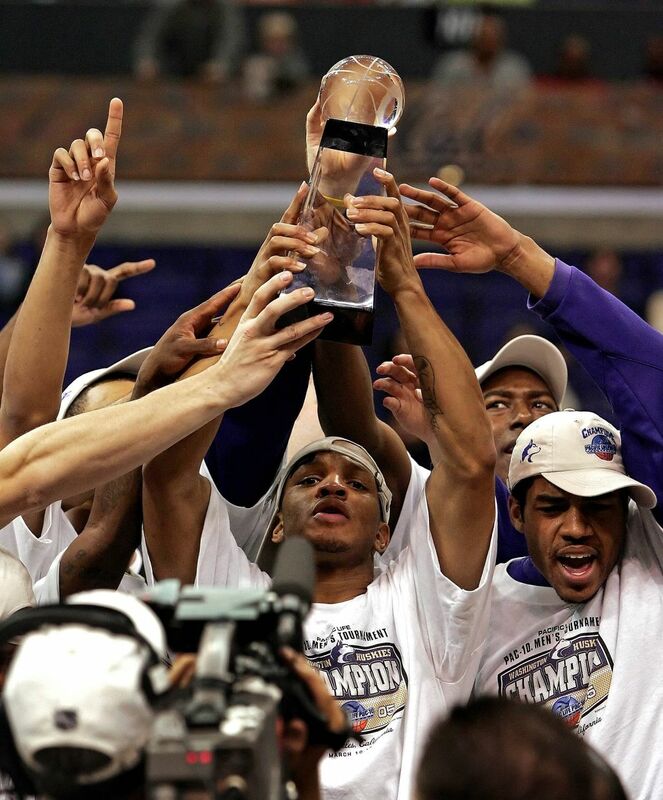 Romar’s early teams at UW had budding stars in the backcourt in Brandon Roy, Nate Robinson, Curtis Allen and Conroy. All could score, and Conroy was eager to prove he could score with the best of them. 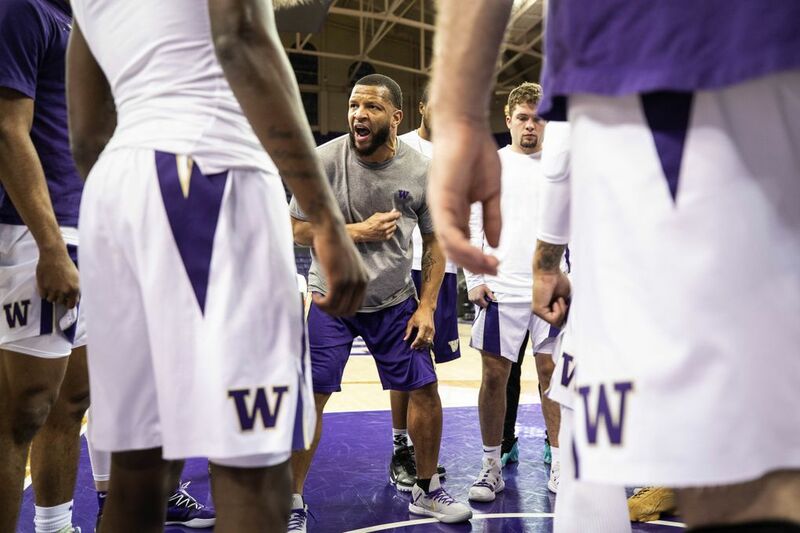 It wasn’t until Conroy found his voice, his niche, as a “pure” point guard — Romar’s word — that the Huskies fulfilled their potential, culminating in two of the best seasons in program history in 2003-04 and ’04-05. Conroy led the Pac-12 in assists as a senior, then kissed the Hec Ed court after his final game. 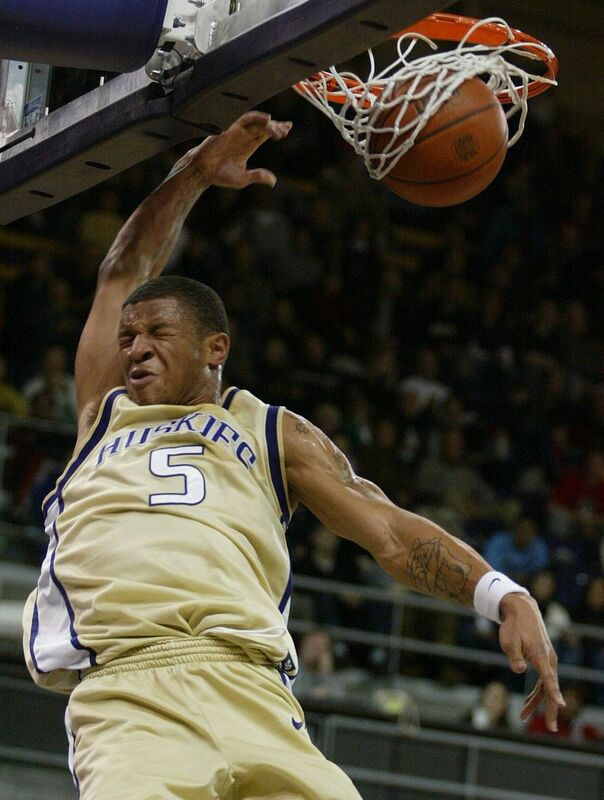 As Conroy embarked on a vagabond nine-year pro career — including stints with four NBA teams, plus tours in Italy, China, Turkey and Germany — he kept an eye on the Huskies. Romar said none of his former players, post-college, remained as interested and involved in the team as Conroy. 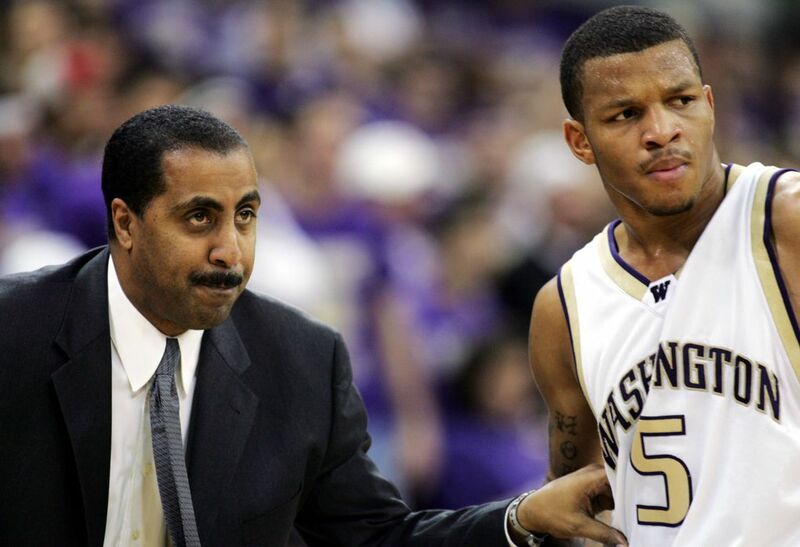 Romar, now in his first season as the coach at Pepperdine, remains an ardent Husky supporter and one of Conroy’s closest confidants. The parallels of Washington’s resurgence, then and now, are easy to trace. 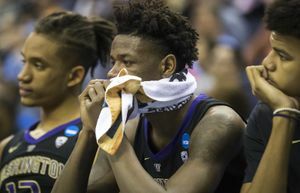 The Huskies’ breakthrough under Romar came in his second season, and the Huskies enter their regular-season finale Saturday against Oregon having already clinched the Pac-12 championship — in Hopkins’ second season. Conroy and fellow assistant Cameron Dollar have been key figures in both eras. Conroy’s best quality as a young coach, Romar said, is his ability to relate to the players while still providing honest and unfiltered criticism when needed. “He has an unbelievable knack, as they say, to ‘keep it real’ with the guys and not candy-coat anything,” Romar said. Conroy is dreaming again — dreaming about the program’s potential, about another return to the glory days of Husky basketball. 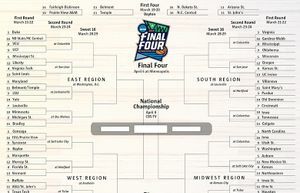 It’s March, and the Huskies are on the cusp of their first NCAA Tournament appearance in eight years. For Conroy, the feelings of optimism and excitement and anticipation are familiar.